Do heavy rains cause your gutters to overflow? 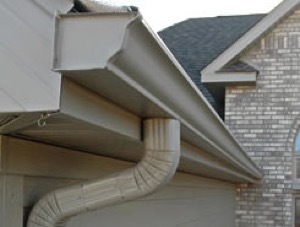 The Storm King continuous gutter system is our six inch continuous gutter with 3×4 inch downspouts. It is designed for homes and commercial buildings with large roof areas, large fascia boards, and extreme pitched roofs. Storm King handles almost three times as much water as the Classic (five inch gutter/2×3 inch downspout) system. 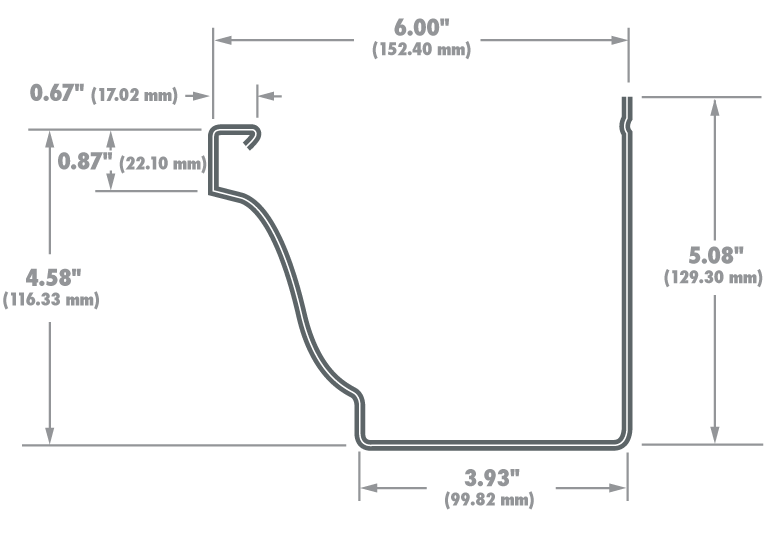 Our gutters are made from heavy-weight (.032 “) aluminum, then installed with our Supreme screw hangers, placed every twenty-four inches for maximum strength. For extra strength, roof straps and face screws can be added to ensure this system will stand up to everything Mother Nature can gather. Storm King is available in over one hundred designer colors, fifteen of which we carry in stock at LaPorte Seamless Gutter. LaPorte Seamless Gutter is the only company in the LaPorte County area with its own six inch gutter machine.